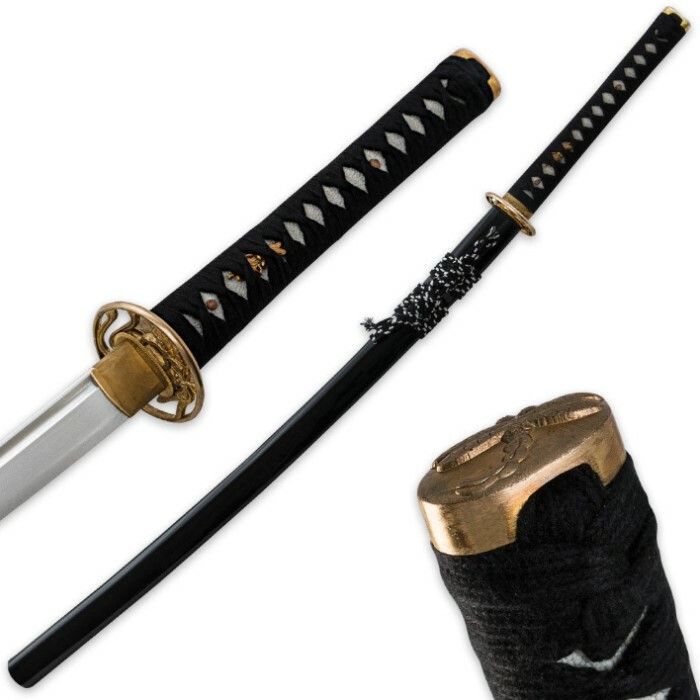 Carbon Steel Samurai Katana Sword With Scabbard | BUDK.com - Knives & Swords At The Lowest Prices! This handmade masterpiece will leave you astonished every time you behold its beauty. Each one features a hefty 1060 carbon steel blade that has been heat forged and hand sharpened to yield a razor-sharp edge. 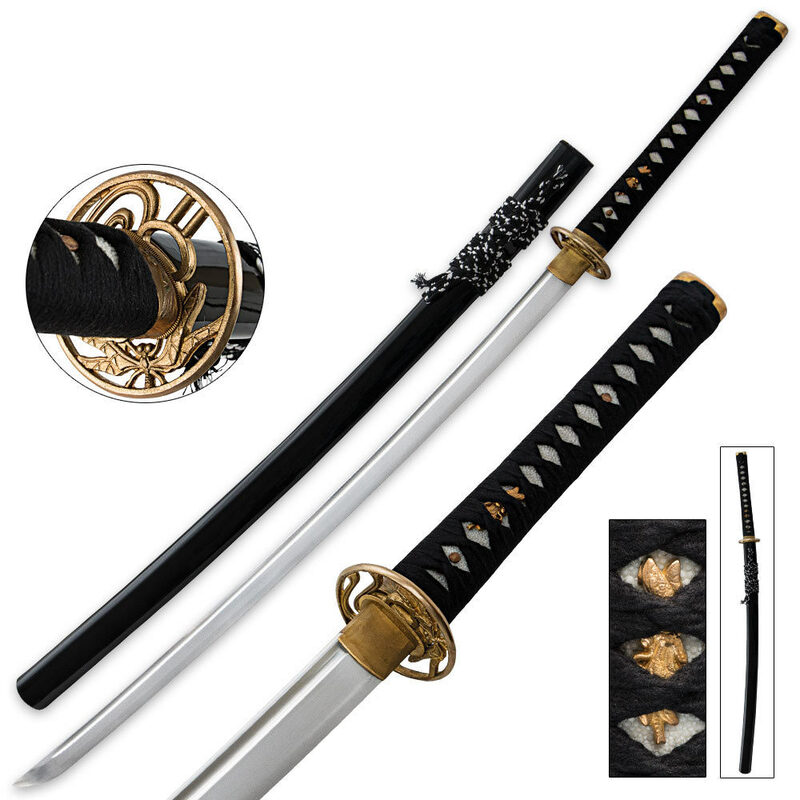 Ornate embellishments such as the antique brass-finished tsuba, menuki and pommel accent the ray skin handle. Generously wrapped in heavy cording, the handle is a work of art in itself and provides a ninja-strong grip as you wield the powerful blade. A hand-painted wooden scabbard features additional black and white cord accents and houses the 27-1/2" blade.